MOGADISHU, March 28, 2015 - Police officers inspect the front gate of Maka Al-mukarama Hotel after an explosion in Mogadishu, capital of Somalia, on March 27, 2015. 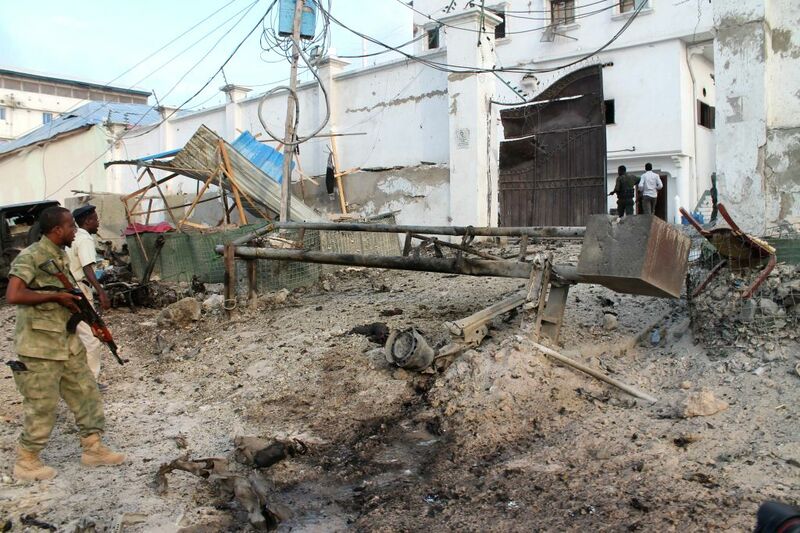 At least five people were killed and scores injured in a suicide car explosion in Somali capital Mogadishu on Friday, police authorities have confirmed. 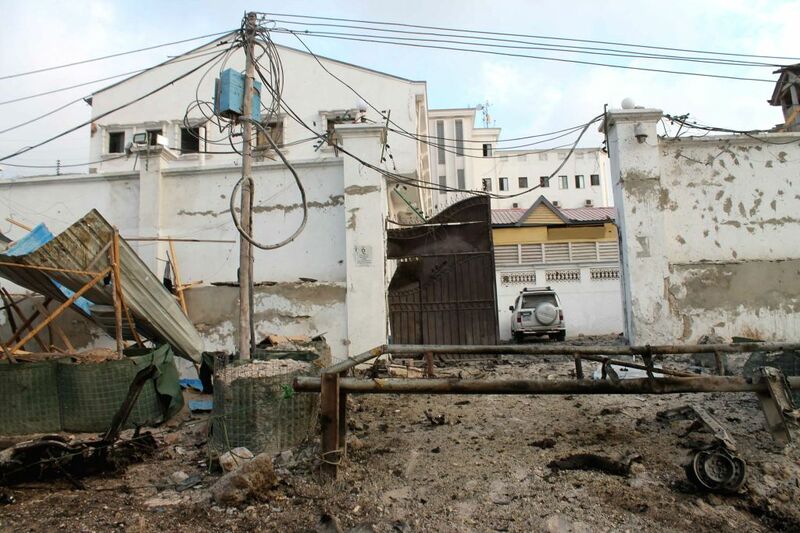 Photo taken on March 27, 2015 shows the front gate of Maka Al-mukarama Hotel after an explosion in Mogadishu, capital of Somalia, on March 27, 2015.